Today we review BoostMood. Anxiety is a feeling of fear, unease or nervous tension that is usually tied to stress. Anxiety can be triggered by an event that produces significant amounts of stress or if something makes you nervous. Most people are good at identifying stressors in their life and then effectively eliminating them, but sometimes we need a little extra help. 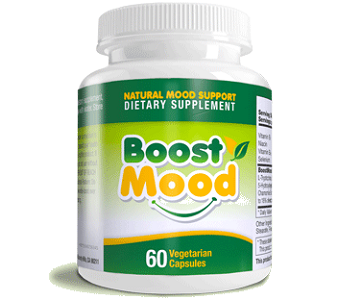 BoostMood claims to boost your performance and increase your mental focus. This product also claims to be effective in raising energy levels, balancing your serotonin levels and help you to sleep better at night. If you struggle with anxiety and you want to know more, read our review below. The ingredients in this product include Ashwagandha, DMAE Bitartrate, 5-hydroxytryptophan, GABA, Vitamin B12, Calcium and Chamomile Extract. Chamomile Extract is a natural mild sedative that calms nerves and reduces anxiety. Low levels of calcium have been shown to increase anxiousness, therefore, this product has high levels of Calcium. Vitamin B12 can help balance out bad moods and also promotes healthy functioning of the immune system. GABA acts as a neurotransmitter and inhibits nerve transmission in the brain which leaves you feeling calm. Ashwagandha is a traditional herb that reduces stress and boosts brain function. It is recommended that you take 2 capsules with 6 ounces of water only once a day. It is recommended that you take this supplement 30 minutes before food. You can take this supplement on a short-term basis as well since it is immediately effective, but it is recommended to use this product at least a month to experience its full effect. Please consult a doctor before using this product if you are currently on any other medications. It is also advised to first check with your doctor if you are pregnant, breastfeeding or have a history of heart conditions. You can order this product directly from the manufacturer’s website. Every bottle contains 60 veggie capsules and you will pay $39.95 for one bottle. A bottle containing 180 capsules will cost you $89.95 and a bottle containing 360 capsules will cost you $179.95. Shipping will cost you $3.95 extra. BoostMood does offer a 500-day money back guarantee if you are not happy with the product. This guarantee is valid from the date that the product was shipped to you. The reviews regarding this product on Amazon are quite varied. Up to 25% of the reviewers gave this product a 3-star rating or lower. 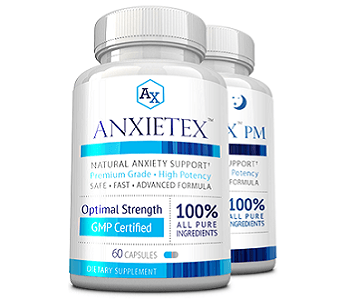 Most of those reviewers commented that the product did not measure up to their expectations and did not help them at all to effectively manage their anxiety. We like that this product uses natural ingredients and that you can use it long term and short term. We also like that this product has such a great guarantee that enables you to have enough time to properly test it out. However, we feel that this product is a bit pricey if compared to similar products on the market. We also don’t feel assured concerning the negative comments this product received on Amazon.